There are many Bluetooth speaker systems out there that prefer the safe route of donning a very speaker-like design, though, they can sometimes be easily forgotten due to their conventional approach. Luckily, audio systems maker Edifier has one offering that’s sure to raise quite a few eyes with its chic aesthetics. For those who want a wireless speaker system that’s both powerful and good-looking, they don’t need to look any further than at Edifier’s Prisma Bluetooth speaker system. Why’s that? For starters, its design is simply out-of-this-world with its sleek and modern appearance – it’s as if it came from the future or something. Taking look at the image, it’s comprised out of two speakers, a subwoofer, and a control gauge. On top of being able to stream music wirelessly from your device up to 30 feet away, the 48 watt RMS speaker system is sure to give you plenty audio control as it features a separate bass adjustment dial on the subwoofer. If wireless streaming isn’t an option for your device, you’re still in luck because the Prisma also packs two auxiliary ports for maximum flexibility. Naturally, the Prisma makes for one nice centerpiece to your living room home entertainment system – thanks partly to its appealing looks. 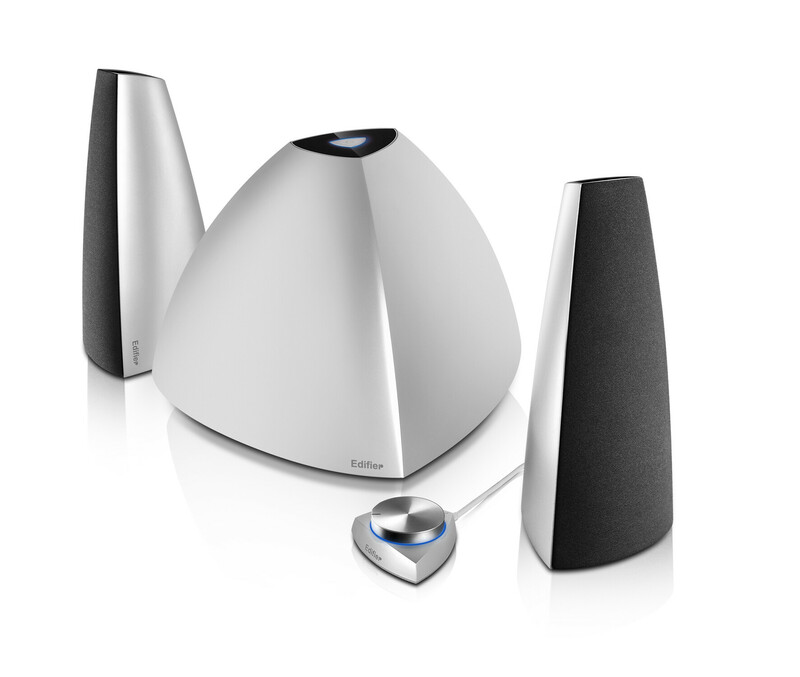 Currently, the Prisma is available for purchase for $129.99 and it’s offered in white, black, and silver color schemes. Just get it on Amazon.com its cheaper by like $40 than directly from price. Cool! I still have the Luna 5 Encore iF500. I got it back in 2008. Superb Portable speaker/ipod dock!